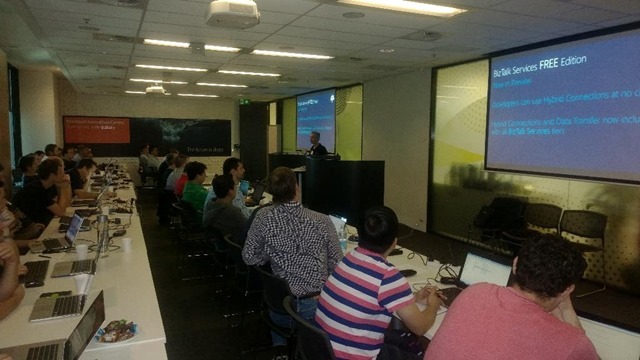 Although originally intended to be the Brisbane chapter of the Global Azure Bootcamp, we had to change the date to a week later since the global event coincided with ANZAC Day in Australia. This year marking the 100th anniversary of the event at Gallipoli, it seemed irreverent (and also impractical) to hold the event on that day. So we joined Perth in organising our own version of the all-day event. Alessandro Cardoso from Readify and myself were the main organisers, while Damien Berry set up the event website. What a success! With over 50 registrations, we had a full house at Microsoft headquarters, with the event stretching from 8:30am to 5:30pm. 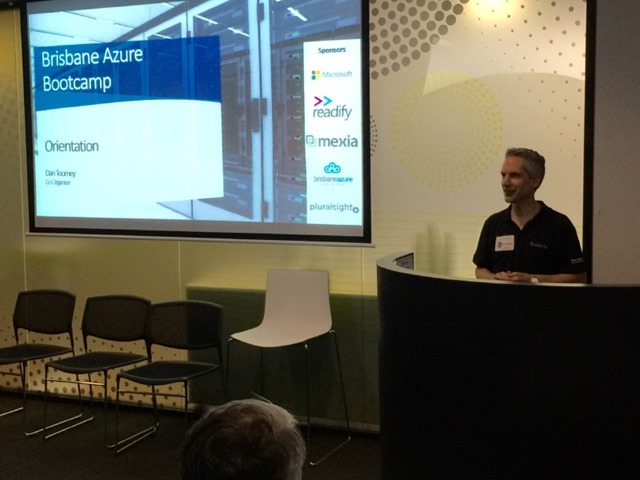 Presenters included Readify’s Alessandro Cardoso and Andrew Harcourt, myself on Hybrid Connections, and Microsoft’s Steve van Bodegraven with a session on Azure ML and lean start-ups. Lots of prizes were given out thanks to sponsors Mexia, Pluralsight, and the Global Azure Bootcamp. Also a big thanks to Readify for funding the catering. For the next Brisbane Azure User Group event, I’ll be presenting with Mexia’s Lee Simpson on Logic Apps – so preparation for that is keeping me occupied as well.